A jury took just 40 MINUTES to find two British school friends guilty of plotting to join ISIS to carry out terror attacks – after they were caught with camping gear. Safwaan Mansur and Hanzalah Patel, both 22, also stockpiled survival equipment and outdoor clothing and plane tickets. They intended to travel to Germany and then to Turkey where they wanted to cross the border to join terrorists in Syria. Today a jury took just 40 minutes to find them guilty of being concerned in the commission, preparation and instigation of acts of terrorism. Mansur, of Aston, Birmingham, and Patel, of Leicester, plotted to join ISIS between May 31 and June 24, 2017. Birmingham Crown Court heard Patel’s father contacted police in June 2017 after becoming concerned about his son’s whereabouts. Patel had told his family that he was due to be leading prayers at a mosque in Germany. But when the family contacted the mosque they were told that no-one from the UK had led prayers that month and alarm bells began to ring. Police searched their family homes and began piecing together their intention to travel to Syria and join ISIS. They had bought camping equipment, outdoor survival equipment and clothing and airline tickets. Jurors heard they had broken down their journey in a bid to evade surveillance using a mix of air travel and public transport. The pair had even booked a return flight with no intention of using it. They were detained by Turkish authorities and returned to the UK where they were arrested on July 1, 2017 at Heathrow. Mansur claimed they had been on holiday but were planning to take a detour to Germany in order to give out gifts at a mosque. The court heard they had tried to enter Syria in 2016 when they had made it as far as the border in Hatay in Turkey but had returned to the UK. 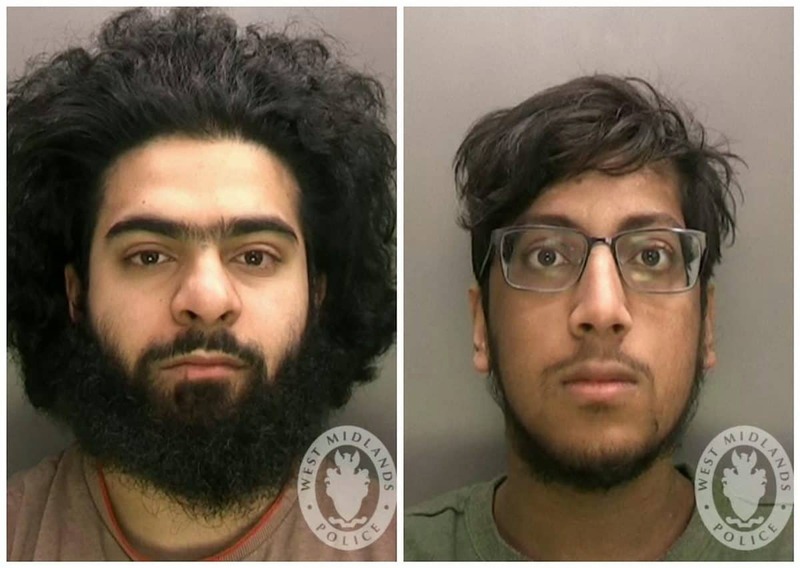 Temporary head of West Midlands Counter Terrorism Unit Chief Superintendent Shaun Edwards, said: “Mansur and Patel had deceived their parents with the ruse that they were going to read prayers at a mosque in Germany. “Their families had no idea they were trying to travel to join Daesh, Patel had on his media devices links to an online guide on how to join the terrorist group and he made several successful credit card applications before using the funds to buy the outdoor equipment. visas for their onward journey to Turkey and booked a hotel in Istanbul for a number of days. “Electronic devices seized from Patel on his arrest in the UK contained graphic images, videos and text glorifying Daesh. “The content gives an insight into their mind-set and showed they were developing an active interest in Daesh and Jihadi ideology. “If anyone is concerned that a friend or family member is thinking of travelling to Syria it is very important that they tell us as soon as possible. “Police and other agencies can offer support to help safeguard those who are vulnerable to radicalisers. Mansur and Patel were remanded in custody and will be sentenced on April 25. Next PostWhat and when are the Brexit indicative votes and what do they mean?